Oh, and JLo was there. A young couple in their twenties got married at the weekend, which is all very lovely. The twist? 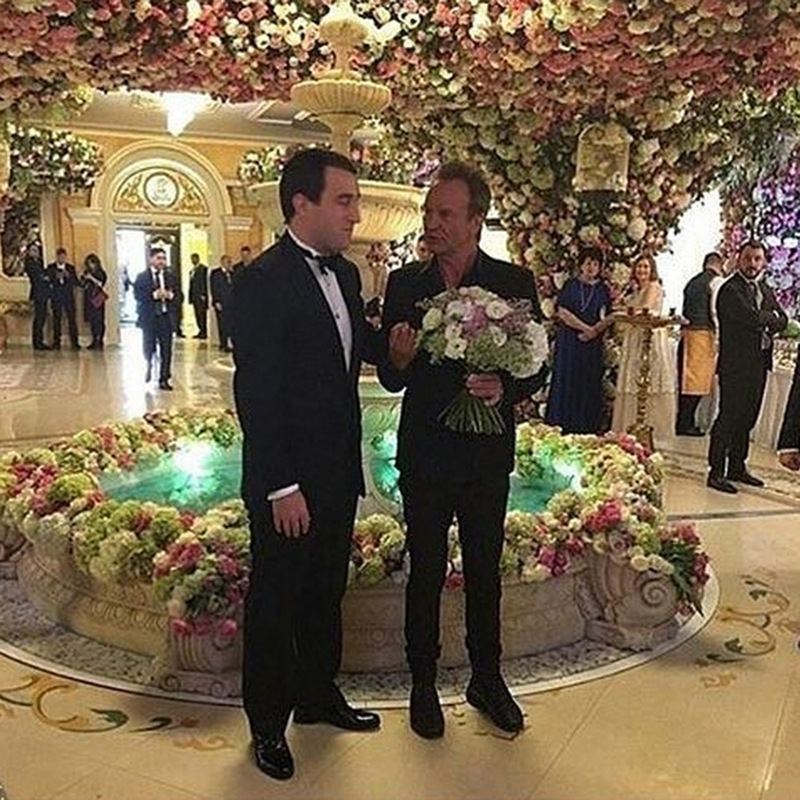 Their big day reportedly cost A BILLION DOLLARS to pull off. Oh, and JLo was there. So who on earth are they? Well, brace yourselves, the happy couple are billionaire’s son Said Gutseriev, 28, and his new wife Khadija Uzhakhovs, a 20 year-old student. As in a uni student, learning to be a dentist, and a young man whose profession isn’t actually very clear. Life can be unfair can’t it? 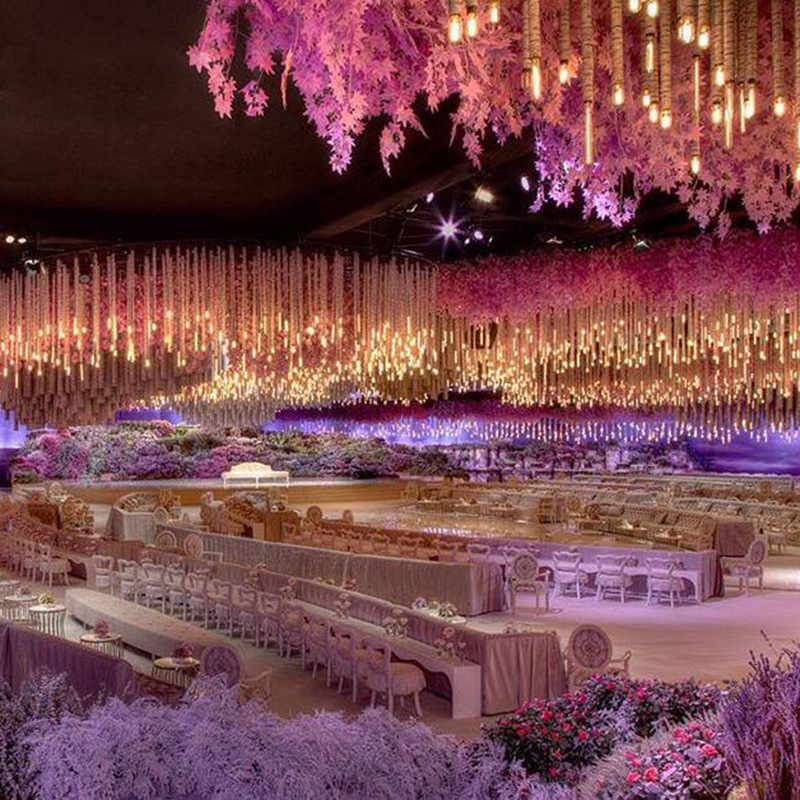 The groom’s father, Mikhael Gutseriev, is oil and media tycoon worth $6.2 billion and has funded the whole shebang. Held at luxury Moscow restaurant and banqueting venue Safisa, the wedding set up was, shall we say, bolder than your average. 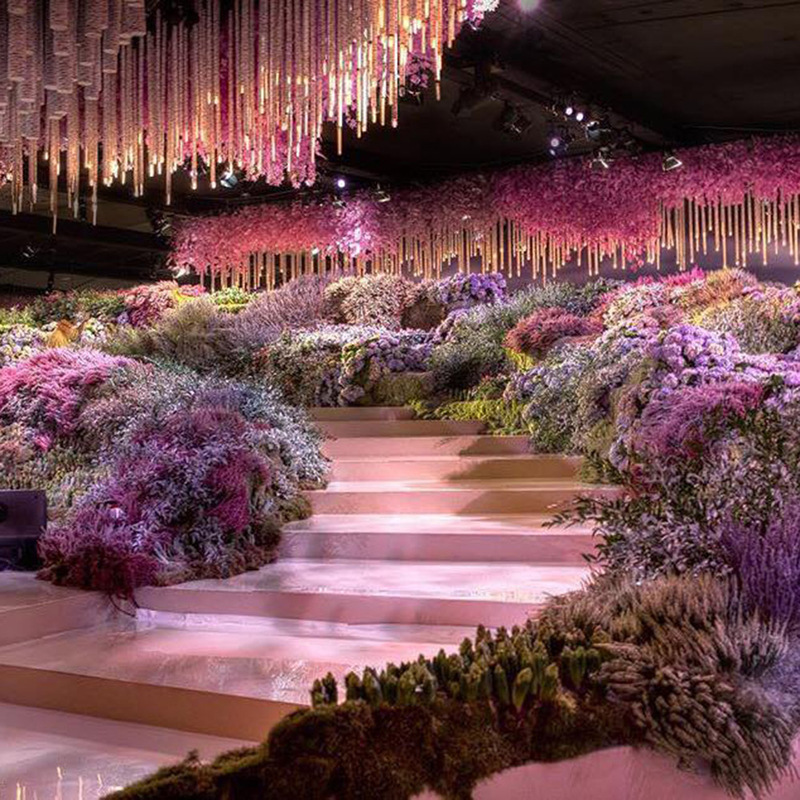 Think walls upon walls of fresh flowers. Think fairytale furniture sourced from Paris. Think posh fairy lights dripping from the ceiling like willow leaves. This, folks, was no-holds barred wedding theatre. 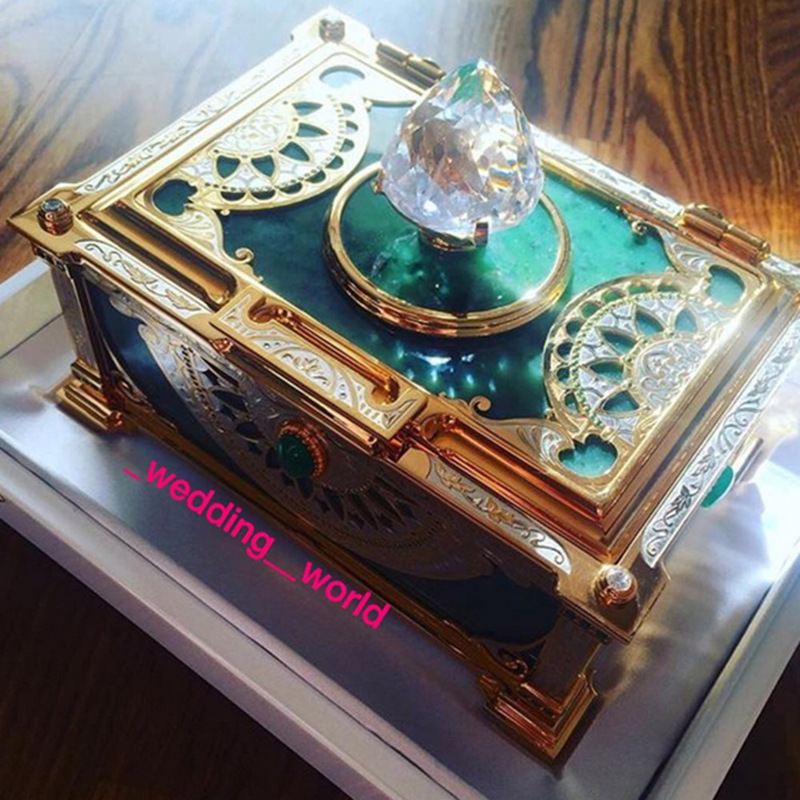 Every guest was given a jewel box, as below. Is that an actual diamond?! We don’t even know, but it certainly looks fancy. Also a fleet of Rolls Royces ferried everyone around all day. Casual, right? 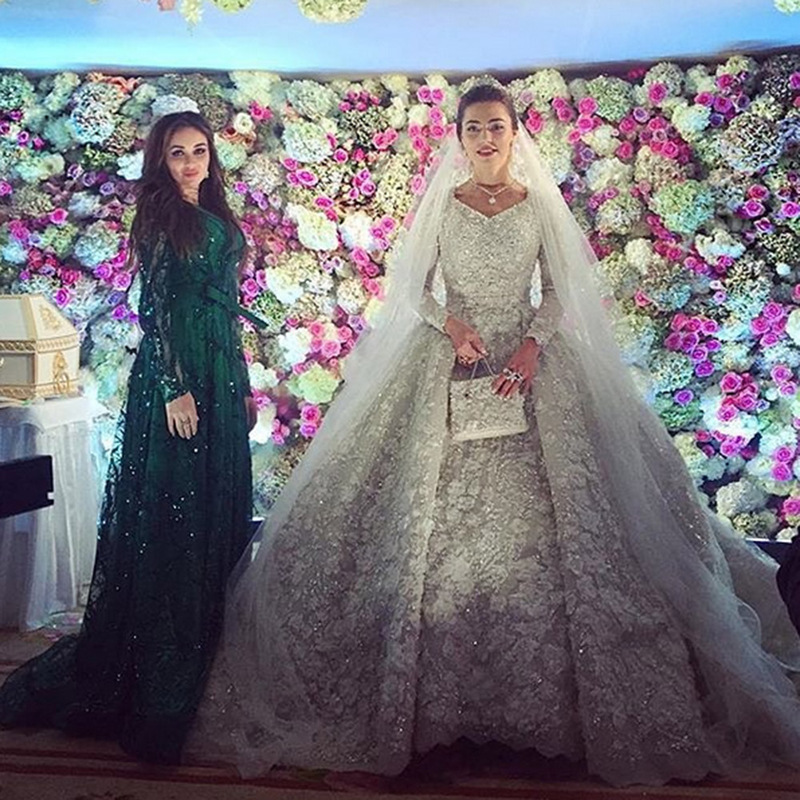 The bride’s Elie Saab custom gown weighed in at 2 stone thanks to all of those embellishments. Imported from Paris, and a one-of-a-kind design, it is rumoured to have cost in the region of $25,000, which we imaging is small change to these folks. The cake was taller than the couple, and all nine tiers of icing were decorated with fresh floral garlands. The 600 guests dined on sushi, plus a feast of European cuisine. Jennifer Lopez performed for the couple. As in Jennifer Lopez! Yes, she put on a full whack show just for the couple and their guests, with Sting and Enrique Iglesias singing as her warm up act. With previous personal appearances from JLo reportedly costing over $1million for an hour, we can’t even imagine how much the budget for this mini festival was. With all that money spent, we really hope the couple last forever.